Deliverance are a band from France that plays a mixture of black, sludge and post metal and this is a review of t heir 2017 album "Chrst" which was released by Deadlight Entertainment. A very heavy sound starts off the album along with some grim yet high pitched black metal screams and you can also hear a great amount of sludge elements in the guitar riffing along with some melodies also being utilized at times and when growls are utilized they add in a touch of death metal. When the music speeds up a great amount of tremolo picking and blast beats can b e heard which also gives the music a more raw black metal feeling and you can also h ear all of the musical instruments that are present on the recording and when guitar leads are utilized they are done in a very dark yet melodic fashion. A great portion of the tracks are very long and epic in length while atmospheric elements and post metal influences are also utilized at times and the songs also bring in a great mixture of slow, mid paced and fast parts and towards the end clean guitars are added onto the recording. 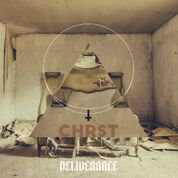 Deliverance plays a musical style that is mostly rooted in black metal while also mixing in elements of sludge and the heavier side of post metal to create a sound of their own, the production sounds very professional while the lyrics cover darkness and anti religion themes. In my opinion Deliverance are a very great sounding mixture of black, sludge and post metal and if you are a fan of those musical genres, you should check out this band. RECOMMENDED TRACKS INCLUDE "Out Of The Saddening Blank" and "Across Gehenna". 8 out of 10.